Swoop, a start up funding solution aimed exclusively at SMEs, has been awarded £250k by Nesta’s ‘Open Up Challenge’. Commissioned by the UK’s Competition and Markets authority, the Challenge marked a global search for innovative fintech ventures that would leverage open banking data to create additional finance options for SMEs and promote further competition in the market. 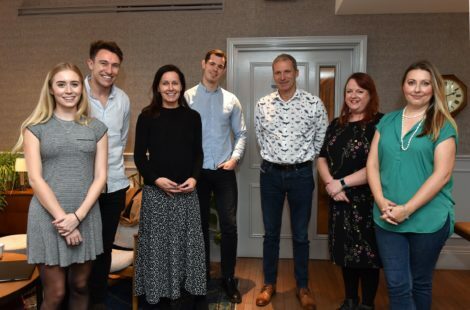 Swoop, which was founded by Andrea Reynolds and Ciaran Burke at the beginning of last year, is one of three companies to have been awarded in the final round of the 12-month long competition. The tech platform, which champions itself as a ‘one-stop, money shop’ currently supports SMEs to better understand and better access the broad and ever-changing funding landscape. Swoop acts as a virtual CF0 for SMEs, enabling them to access every form of funding and saving in one place. From March 2019, the CMA 9 Banks (AIB, Bank of Ireland, Barclays, Danske, Lloyds, HSBC, NatWest, RBS, Santander) will all send their business customers via Swoop when switching business current accounts. Founder of Swoop, Andrea Reynolds said: “With exponential growth of our users and funding partners across the platform this year, the Open Up Challenge award is as motivating as it is rewarding. “The award not only highlights Swoop as a valuable product with impressive growth potential, but it solidifies its noble purpose of supporting SMEs to navigate the ever-changing and often-turbulent funding arena.